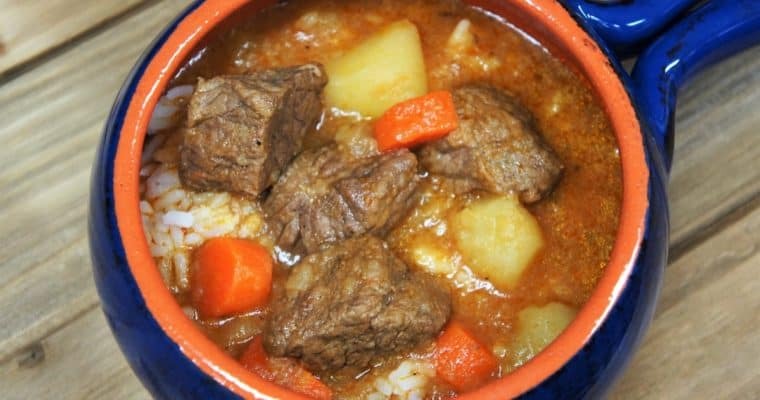 Cut the pork stew meat into approximately 1 inch cubes. Try to make all of the pieces roughly the same size so they cook evenly. Add the orange juice, salt, garlic powder, black pepper, onion powder, cumin powder, and dried oregano to a medium bowl. Stir with a fork or small whisk to mix all of the ingredients well, set aside. Add the pork and the orange juice marinade to a large re-sealable bag, seal tightly and place it in a pan or plate just in case it leaks. Or, add the pork and marinade to a large bowl and cover with a lid or plastic wrap. Allow the pork to marinate in the refrigerator for at least an hour or two. 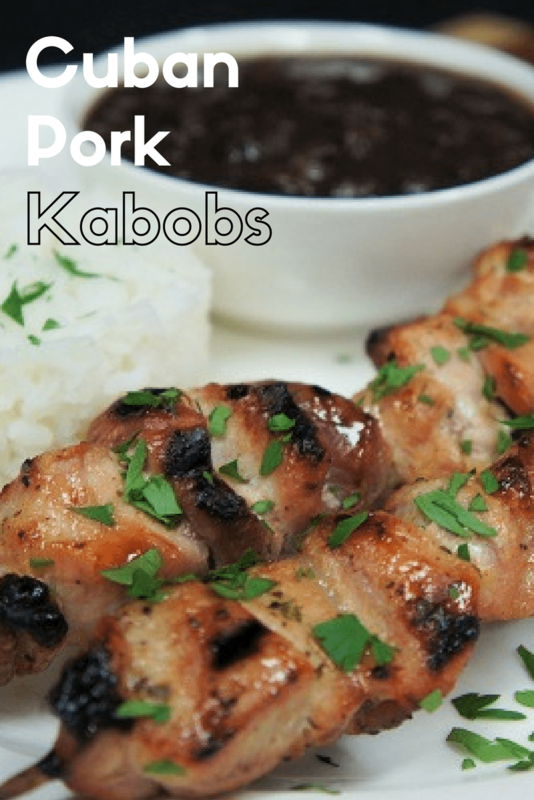 While the pork marinates, soak the skewers in water. Place the skewers in a pan that is large enough for them to lay flat and cover them completely with water. Skewer the pork pieces; try to match up roughly same size pieces together on the skewer. Discard any remaining marinade. 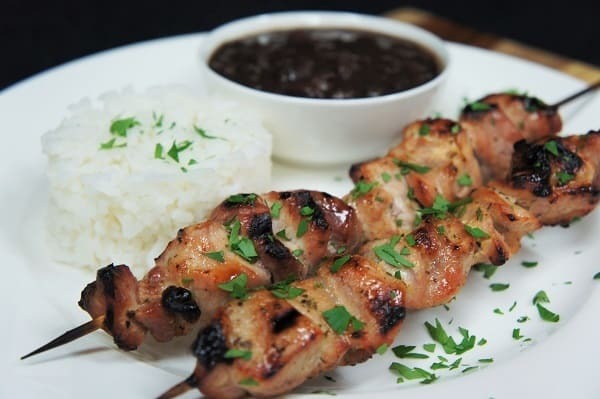 Grill the Cuban pork kabobs, on a pre-heated grill, over low to moderate heat until the pork has reached an internal temperature of at least 140°F. 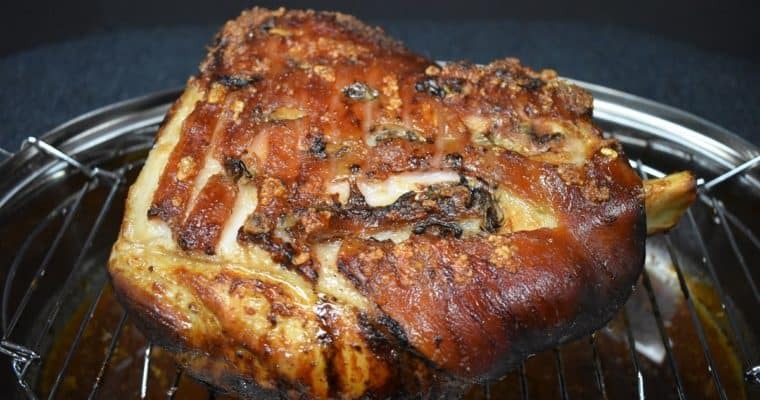 Get a nice caramelized exterior on the pork by glazing it with a little bit of orange juice with a little bit of orange juice, repeat a few of times during the last 10 minutes of cooking.